In launching a new white label credit card brand issued by Capital One in the UK, everything from the name to the logo to the card design had to be developed. 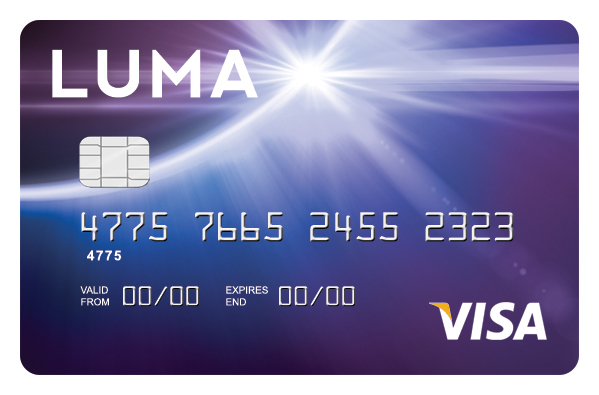 Intended for those building or rebuilding their credit, the new card had to appeal to a fairly large spectrum of the market. As such, I worked with our art director and copywriter to focus naming and design concepts on the notion of a fresh start. To validate direction, I developed two rounds of online surveys: the first, an attitudinal study in which we also confirmed brand name selection, the second, a more basic survey where consumers helped select the winning card design. Consumers were very clear about what they were looking for. Key brand attributes focused on responsibility, clarity, and online ease. 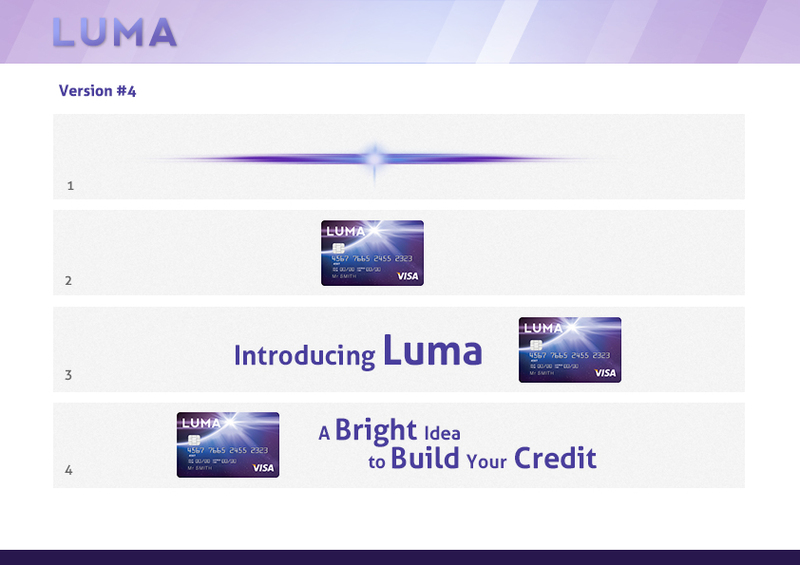 They chose the name, “Luma” as best representing these values. In terms of the logo and card design, consumers overwhelmingly selected the purple starburst variant. Results in hand, full tone of voice and style guides were developed to ensure consistency across all communications. On launch, display, paid search, and press materials all consistently used the iconography and messaging that reinforced the brand name, which relates to light, e.g., “a bright idea” and “shed some light on….” Co-written by our senior copywriter and me, the consumer site offered visitors the chance to manage their credit responsibly with easy-to-understand guides about different types of credit scenarios. Having consumers help with brand development yielded great results. Applications for the card wildly exceeded projections.